The views out of the lanai where beautiful, nicely kept place. My family of 4 stayed at unit # 1418 for 8 days. We were more than pleased with the condo. It offered plenty of room for the 4 of us. Beds and bedding were very comfortable. 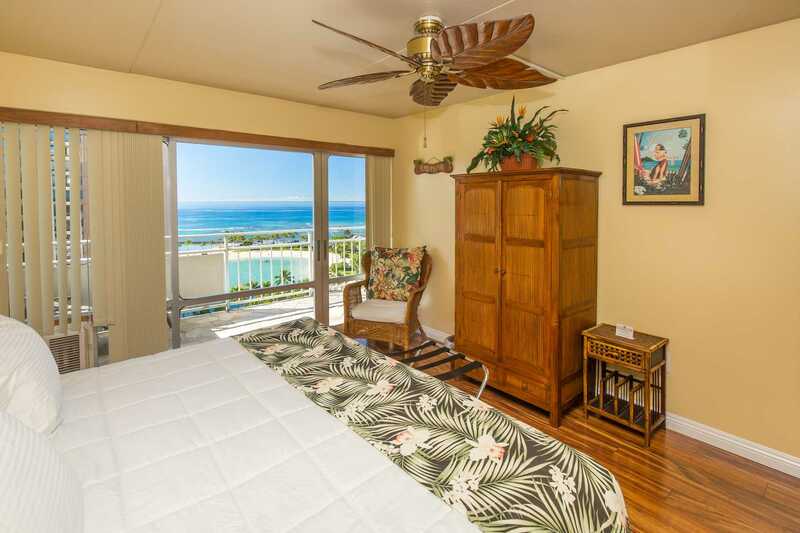 The unit was very clean with an awesome view of the lagoon. There were beach chairs and other supplies for the beach for us to use. We took advantage of the valet parking which was great. It was only a short walk to the beach. 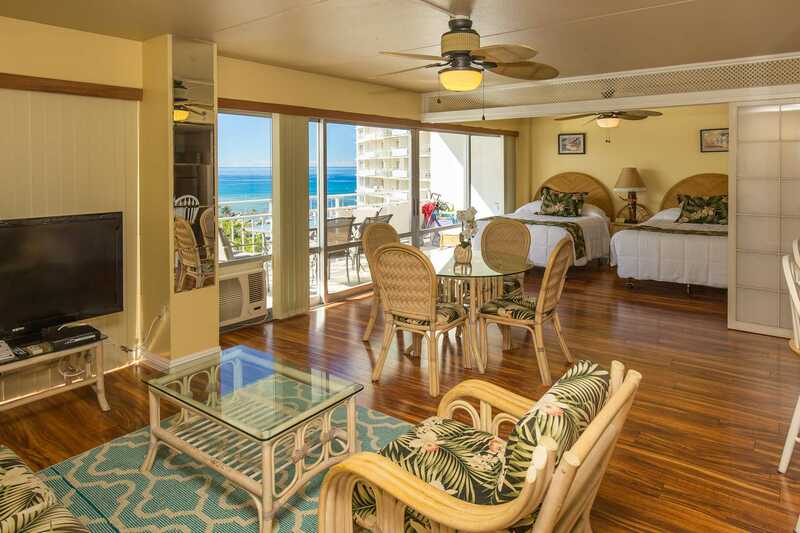 This was my 7th stay at the Ilikai and if I'm fortunate enough to return to Oahu, I would stay there again. 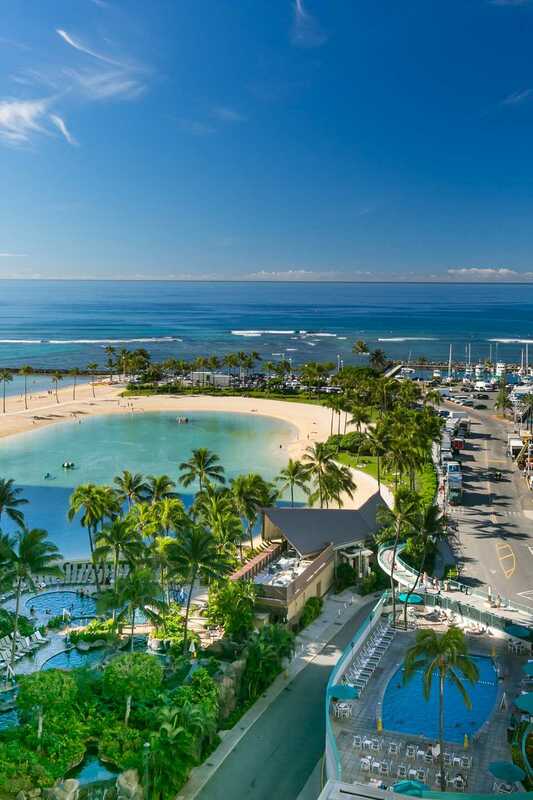 Top class holiday at the Ilikai.Plenty of room for the family which includes 2 teenagers. 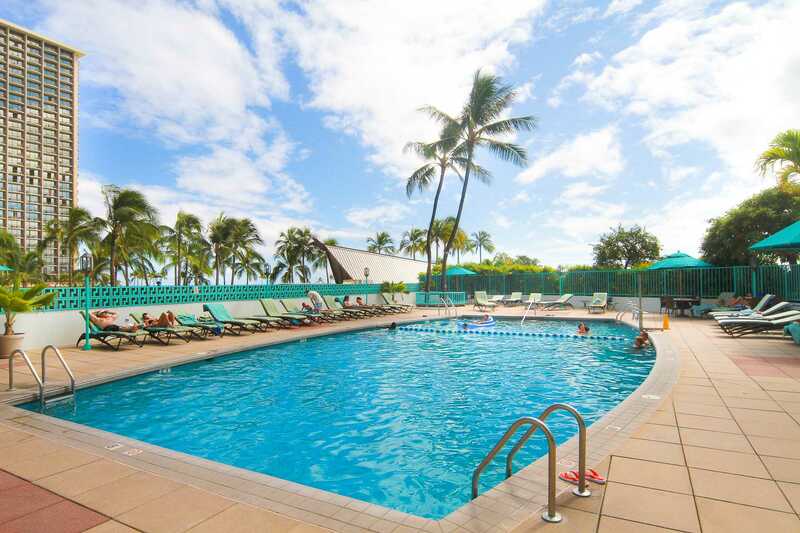 We really enjoyed the Ilikai and all the surrounding area had to offer.View from the balcony is outstanding and it was easy to get a spot around the pool.Coffee in the morning and ice cream at night from the cafe/Daves' Parlour on the ground floor topped off a great stay. This two bedroom apartment was well equipped, spacious and clean. The layout worked well for 3 ladies sharing and the beds and lounges were extremely comfortable. The kitchen had a plentiful supply of glasses, crockery and utensils with full amenities such as dishwasher (with soap supplied), large oven, fridge and microwave. We also appreciated the beach chairs, umbrella and towels supplied. Fans and A/C all in good working order and both bedrooms had good wardrobe space. Kitchen cupboards though are a bit tired as doors don't all close properly. And we couldn't find a broom but overall a great place to stay with a fabulous view. Great condo, great location...easily accomodated 5 adults. On the down side the beds squeak when anyone rolls over and the floating floor also squeaks when walking on it which in turn makes it a little noisy for anyone trying to sleep....otherwise we loved our stay and hope to be back in the near future. The condo was perfect. Plenty of room, clean, outfitted with the basics to get our vacation started as soon as we arrived. Plenty of closets with hangers, luggage racks. Amazing views from a wonderful balcony. I loved this condo and would definitely stay there again. AAAA+! Stayed in this condo for 11 days of bliss: it was perfect! Clean & pristine. 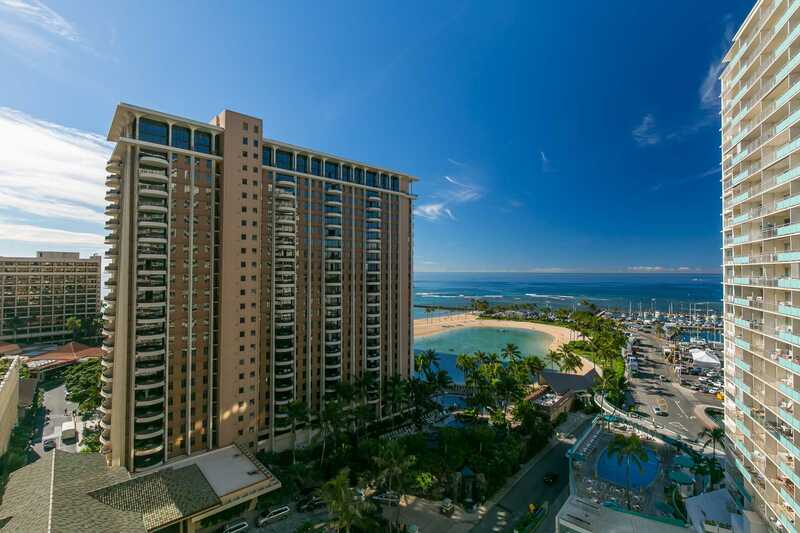 Upon our arrival, the Ilikai bellman, Wayne, brought up our 5 suitcases and 4 carryon bags. I tipped him well and throughout our stay, all the bellmen were willing and available to bring up groceries, shopping bags, etc. 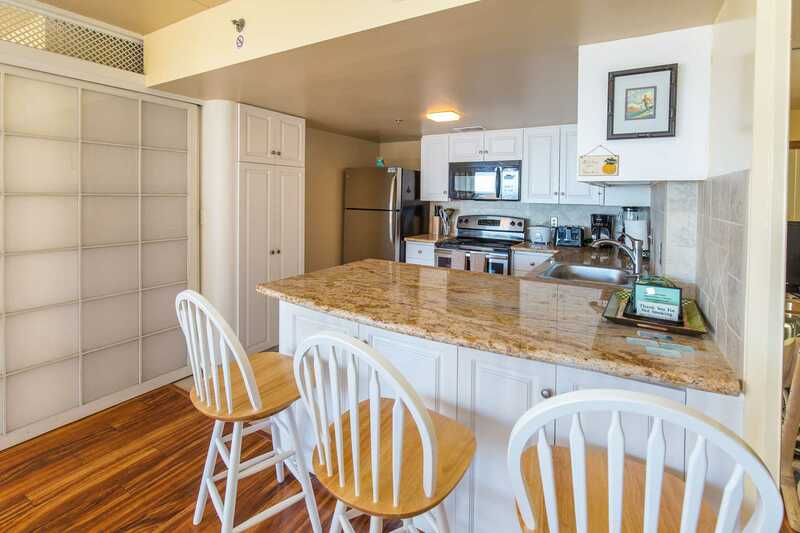 The condo has plenty of closets w/ lots of hangers, luggage racks and good drawer space. The beds are comfortable, with lots of different types of pillows to choose from. The bed linens were soft & inviting. 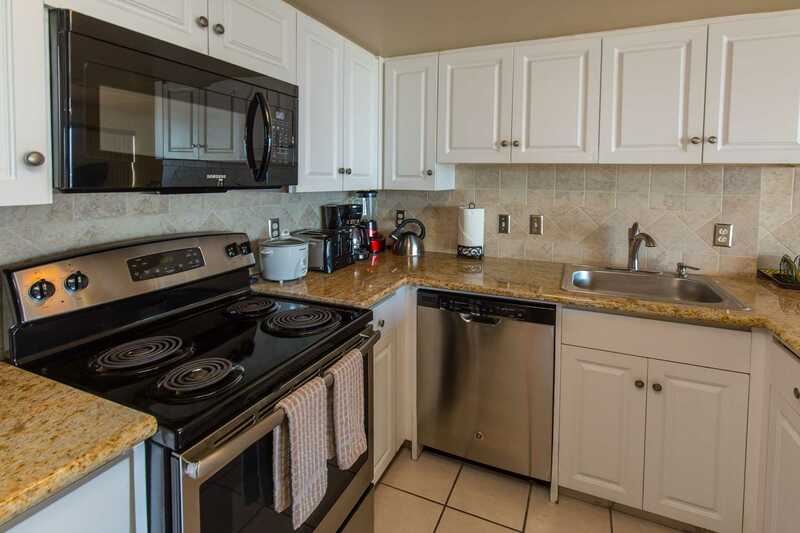 The kitchen is outfitted with everything you need to make meals and snacks. There is a George Forman Grill & we grilled out on true balcony. It was great! The balcony is expansive with an amazing view. We watched the Hilton Hawaiian Village Laua almost every night & we could see their Friday night firework show perfectly. 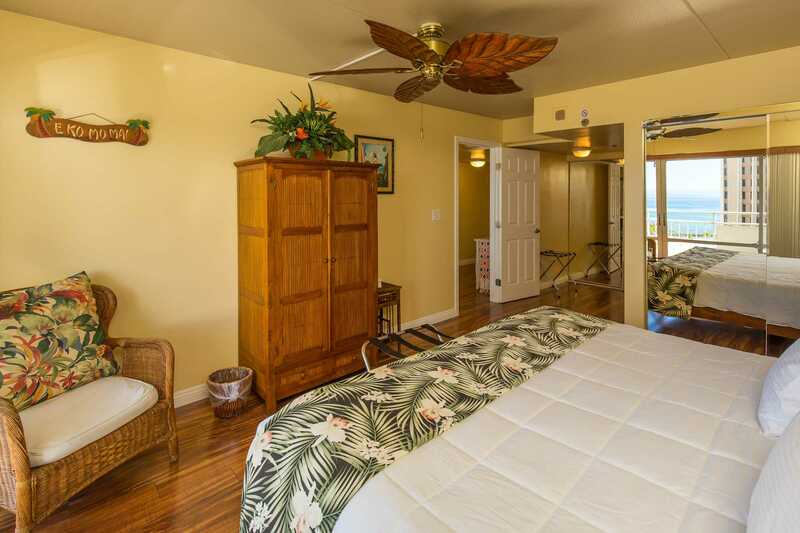 The room air conditioners cranked cold air w/ ease & the ceiling fans moved it around. WiFi & cable work perfectly. The laundry facility is just 5 doors down & I never had to wait for either the washer or dryer. This was a wonderful vacation and this condo was a huge part of that! 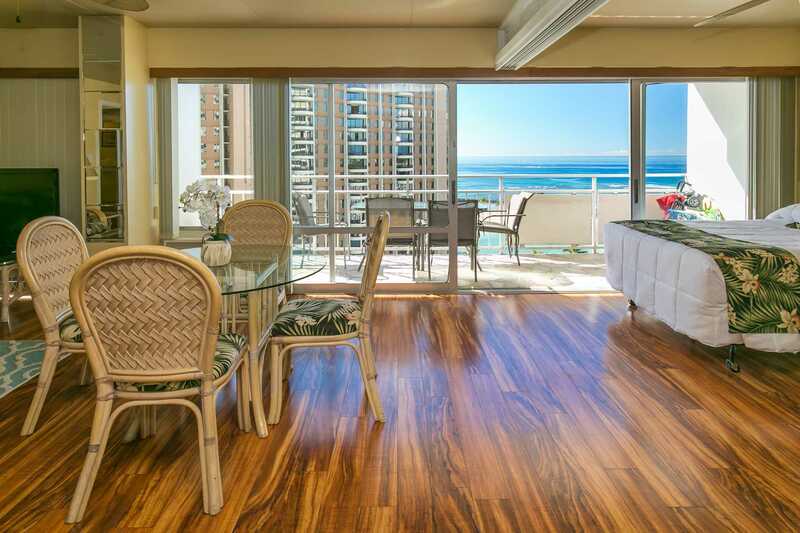 Nice view, clean and beautiful lanai. 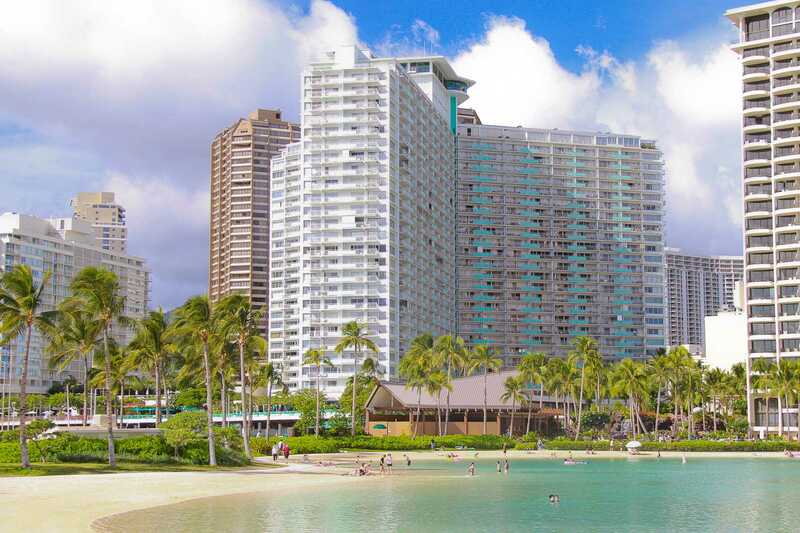 We enjoy the Ilikai and this end of Waikiki beach. We saw fireworks Friday and Sunday and watched the luau on the Hilton from the lanai. Condo was clean and well stocked with necessary supplies. Wifi worked well. Love the valet parking. 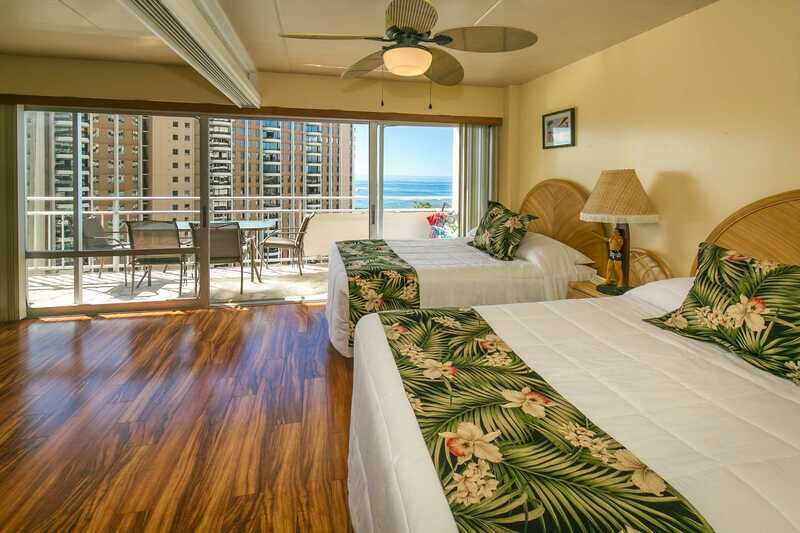 Would return to this condo if I am lucky enough to visit Waikiki again. 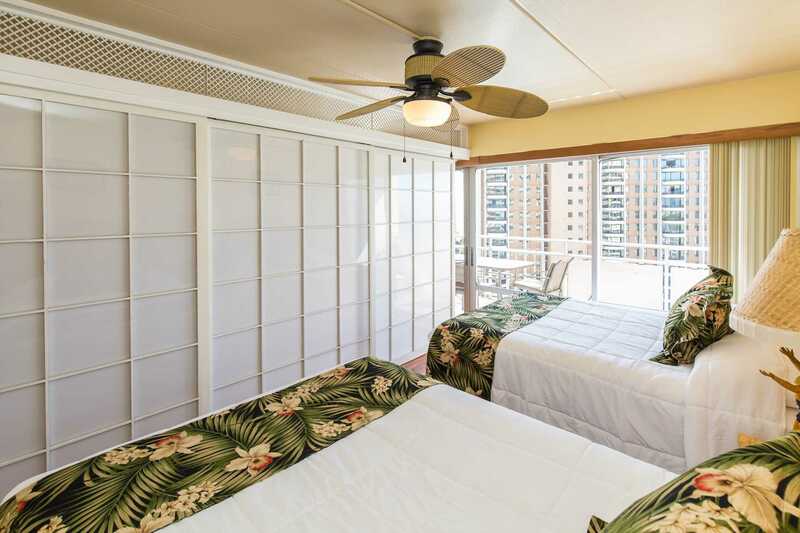 Our family of 4, including 18 year-old twins, stayed in the Ilikai 1418 for 10 days. The suite was perfect for us, offering incredible views and the convenience of a full kitchen. 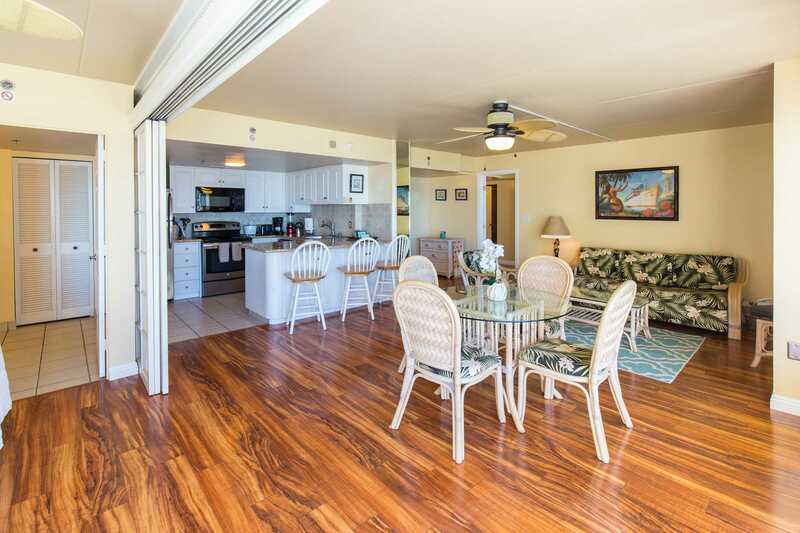 We enjoyed breakfast and Happy Hour on the lanai daily. The suite was spacious for four people, and the closet of shelves in the kids' bathroom helped two teens stay relatively organized. 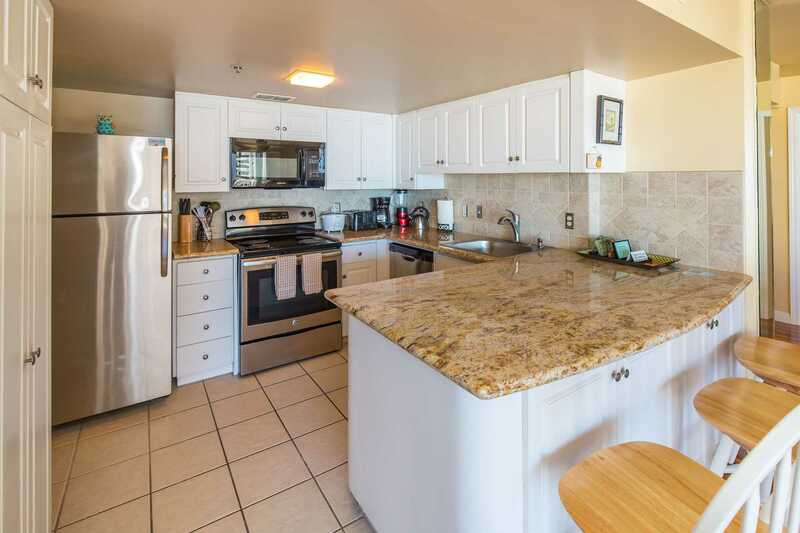 The kitchen was well-appointed and offered a pantry to centrally store groceries, something missing in many rentals. 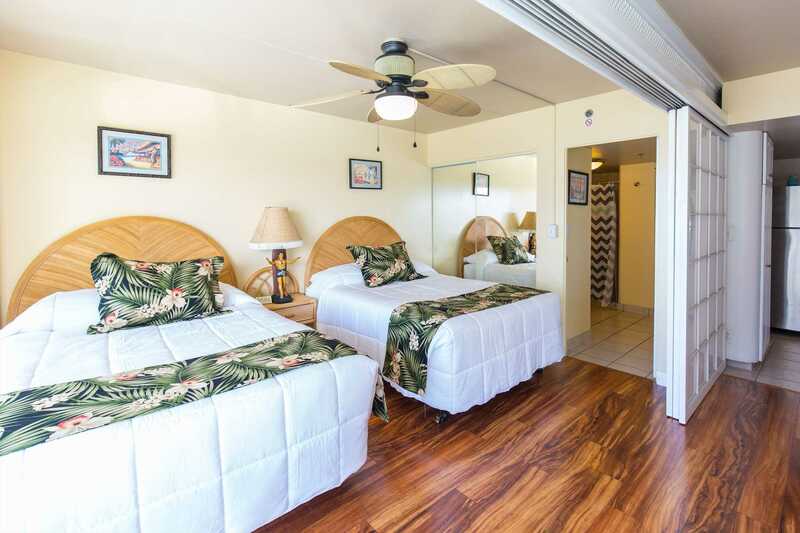 The suite is convenient within the building, only a short walk to the elevators, coin laundry room and trash receptacle. 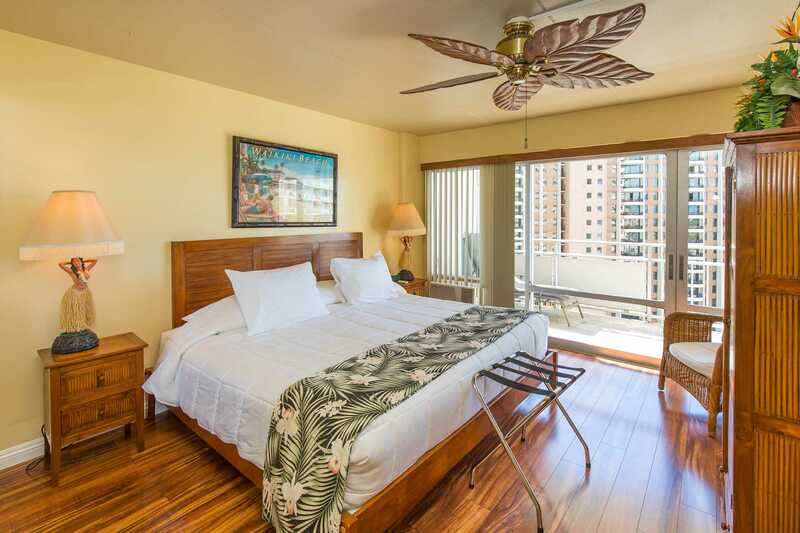 The building itself is steps from Waikiki Beach, and only a block from Quality Surfboards, a great place to rent all manner of water toys for reasonable prices. No car needed with everything so close and the occasional Uber ride easily found. We would definitely rent this suite again! The room was amazing - the perfect size for our two boys, and my Wife and I. The view of the water/marina and downtown was awesome. It was the perfect suite view for the 30 minute fireworks show Sunday night after a festival on the beach. It literally looked like the show was just for us the view was so great. The amenities were great, and it was nice to just leave the doors open and let the nice sea breeze through. We did use AC at night, and the units worked just fine. Walking to local restaurants and shops was super easy. We had a car but only used it to go to destinations more than 20 minutes away. I loved this suite and was sad to leave it. I would definitely stay in this suite again.Also, the beach toys and chairs for guests were a nice touch. Suite 1418 was nice, clean and had all the amenities. The beach gear was great. enjoyed our stay there. The only problem was the, rain kept leaking into the room and was lifting the lament flooring. had to put towels down to stop water from coming in further every time it rained. I did call the number provided and they, new about it and were going to send someone to look at it. I also emailed HVP. Didn't get a response from HVP, and not sure whether anyone came and looked at the floor. It was nice to have the 2 bedrooms and 2 bathrooms. 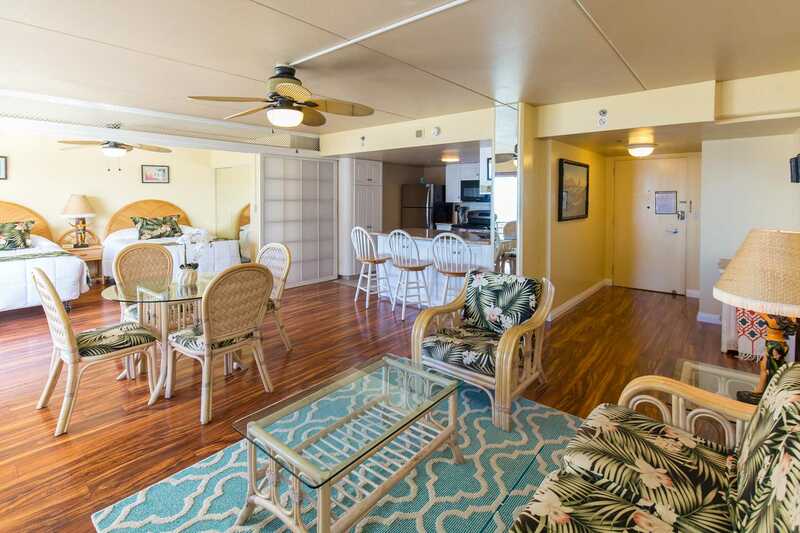 I would rent the room again, but only if the water leaking in from the lanai problem is fixed. 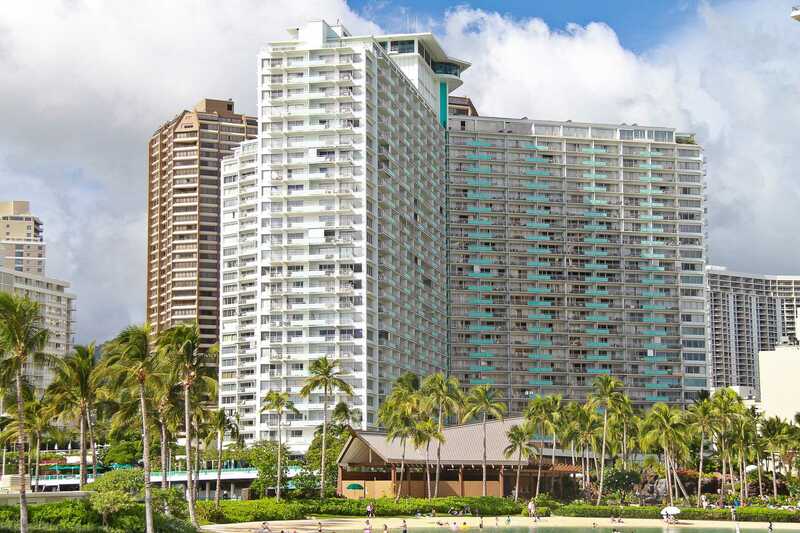 Our crew did enter the condo to address the lanai door leak. They repaired it and apparently did not leave a note and apparently the Guest did not notice. Condo was perferct. It was well equipped, great location and amazing views! Thoroughly enjoyed our stay here. Highly recommend it. Thank you. We loved the unit, especially the view. The unit had everything we could ask for for a fabulous holiday, especially for our first trip to Hawaii. Would not hesitate to recommend this unit or rent it again. We had a rental car and there was easy access to to get anywhere. Valet parking was a bit expensive but well worth it. Nice pleasant walk to shopping and dining. Great beaches a few minutes walk. We left the apartment early this morning with great sadness as we had a fabulous time in Hawaii and the apartment was excellent. It was situated in a great location, was very well equipped, and felt like a 'home' for our two week stay. Thank you again for your services and for all the information provided. All the very best, and we will highly recommend you to others. Hoping to be back soon. Nice place with a good location. We stayed here a couple nights in December and everyone enjoyed it. We didn't get a chance to take advantage of everything the place had to offer (such as the in-unit kitchen and beach toys) due to our short stay but we still enjoyed it. Not having a room key was convenient (there's a key pad instead), however, remembering to lock the unit when we left was something that took some getting used to. Having the lagoon and beach available so close to the resort was nice, as was the restaurant and bar downstairs on the resort grounds. We found the unit very clean, meeting our own standards. Centrally located, easy to get anywhere! Loved it! Walked anywhere! Centrally located to all roadways and easy to drive anywhere. Hotel Staff was very friendly and helpful. Cleanliness was exceptional in the unit. It had everything we needed but could have used more garbage bags. View from the lanai and all rooms was outstanding. 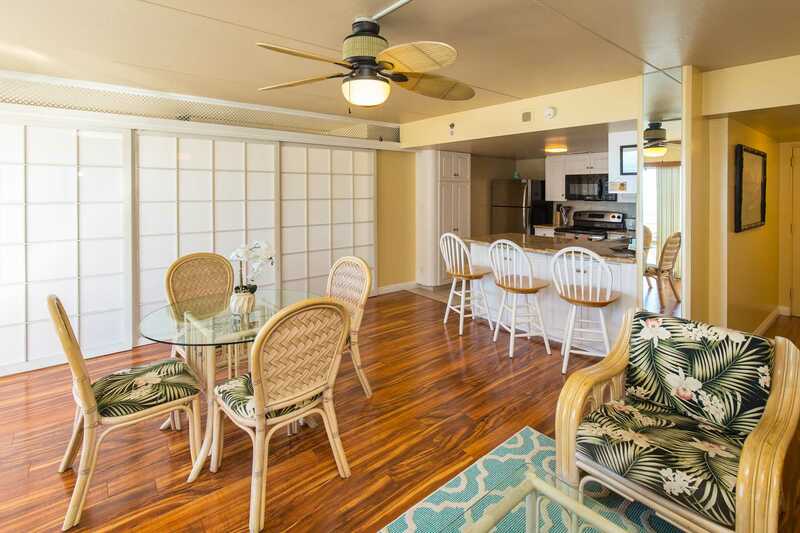 Enjoyed having beverages and playing cards on the lanai in the evenings. The entire experience was A+ with the unit meeting all expectations that were advertised. Thanks for the use of the unit. We would definitely recommend it to anyone and would rent it again. The condo was absolutely perfect! We had everything we needed including beach toys and mats. The balcony was heavenly with amazing views and lots of lounging and dining room. We stayed for a week and hated to leave. 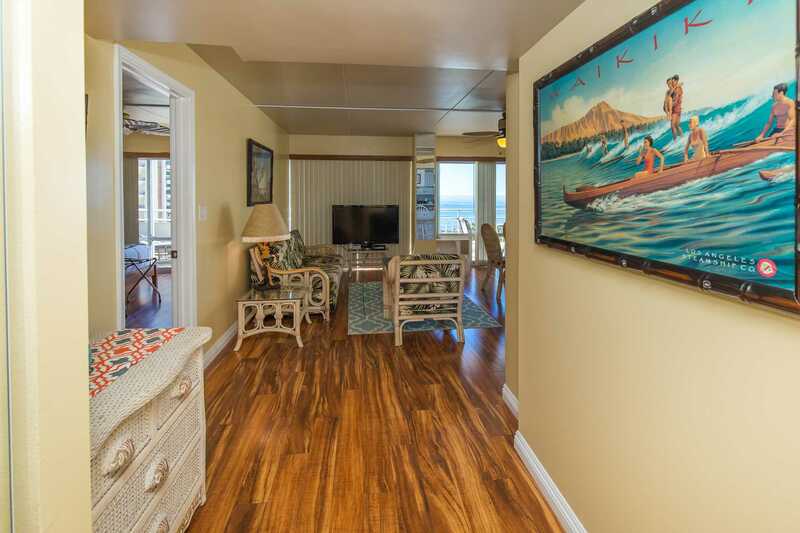 We loved our stay at #1418 in the Ilikai! This was our first visit to Hawaii & we had such a good time. Just wished it would've been for longer. We loved the condo! 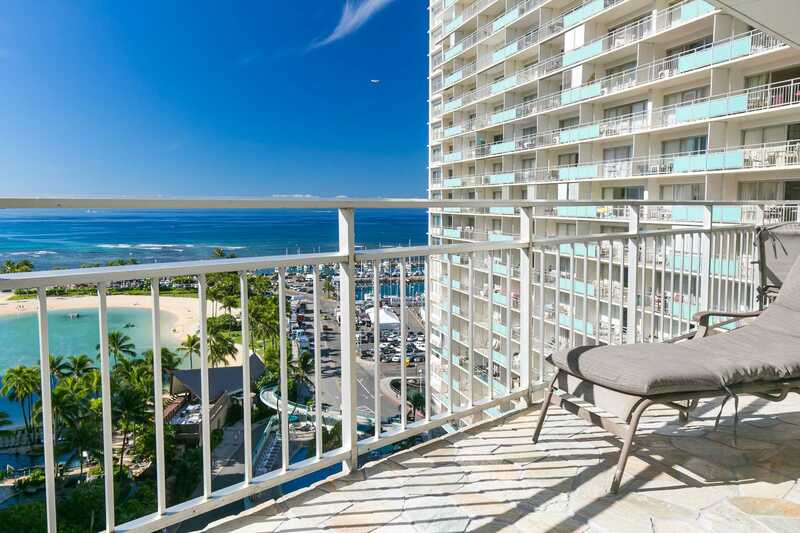 It has a beautiful view from the lanai. 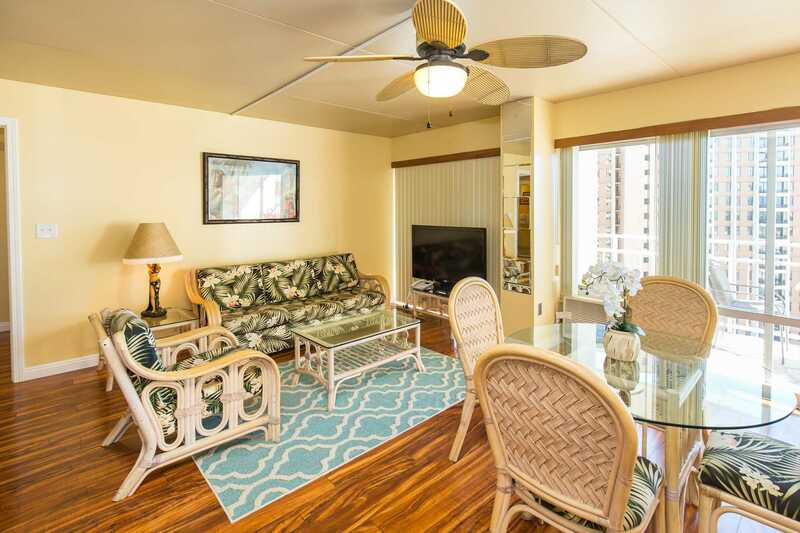 The lanai was my favorite part, but the condo was clean & inviting & decorated nicely. The only thing that may need updated are the mattresses on the beds. A little uncomfortable, but other than that everything else met our needs & enjoyment. We will definitely stay again when we can come back to the islands. I miss it so much! I believe I'm still on "Hawaiian" time! 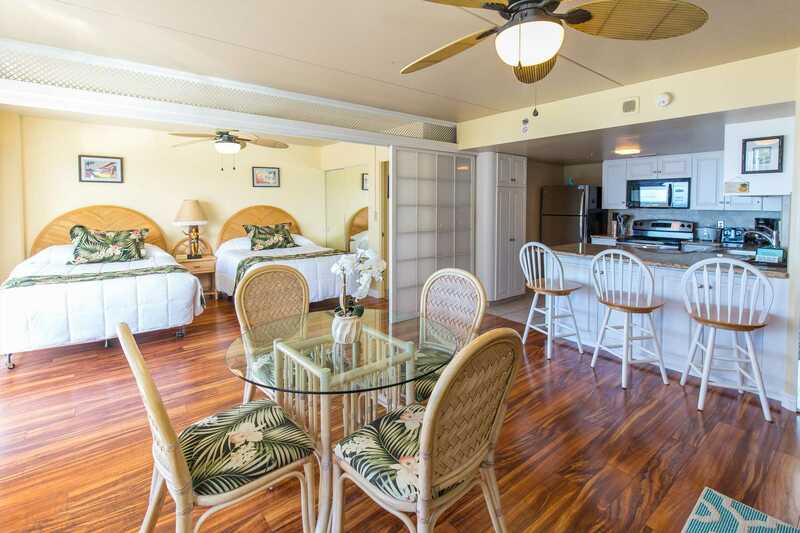 LOL The Ilikai is a great place to stay. It's in a really good location. Could use some more restaurants to compete with the Hilton right next door, though. Just a thought. Thanks so much for a wonderful time!! Mahalo!! The property we stayed in was fantastic! Absolutely love the Ilikai. Wish I could move in permanently. Please thank the owners from us. 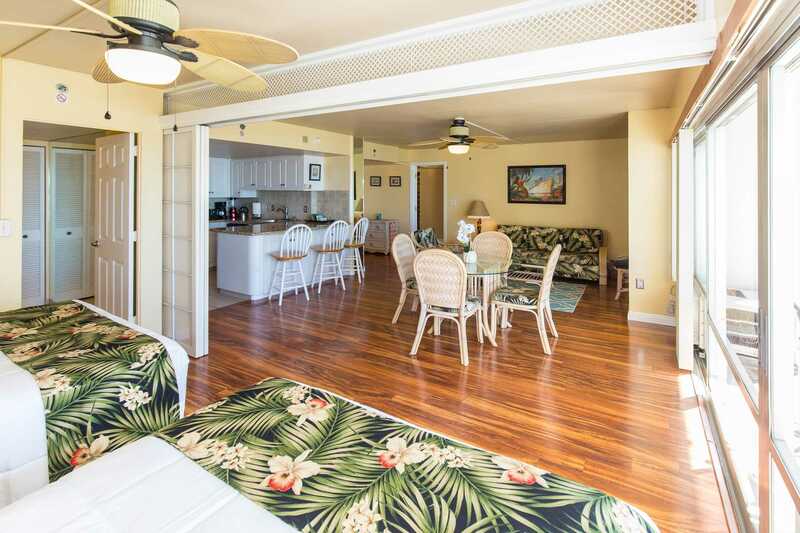 It was a lovely, clean well looked after apartment and definitely convinced us to return to the Ilikai next year. It was so good having enough cups, glasses and every utensil you could possible need. Thank you thank you! This was the second year and will definitely return next year. So would love to make use of your returning customer discount. Nice ocean view from property. Convenient location, clean and comfortable. Quick response from host. Overall a pleasant stay. 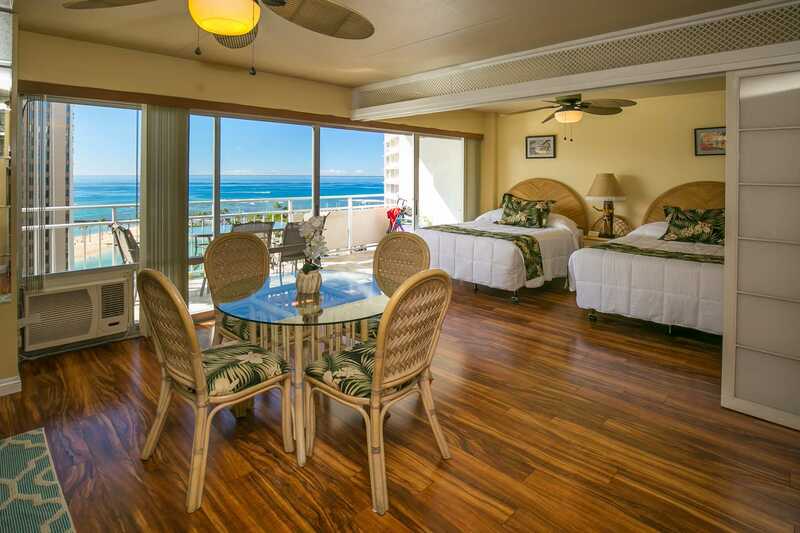 This is one of the best unit I stay in Ilikai, clean, professional management and great view of the ocean and lagoon!! Just a quick email to say THANKYOU for your excellent service and easy booking service. We were very happy with the apartment and the service we received. I would definitely book through you guys again. From the amazing ornate knocker on the door to walking into to this condo our minds were blown. 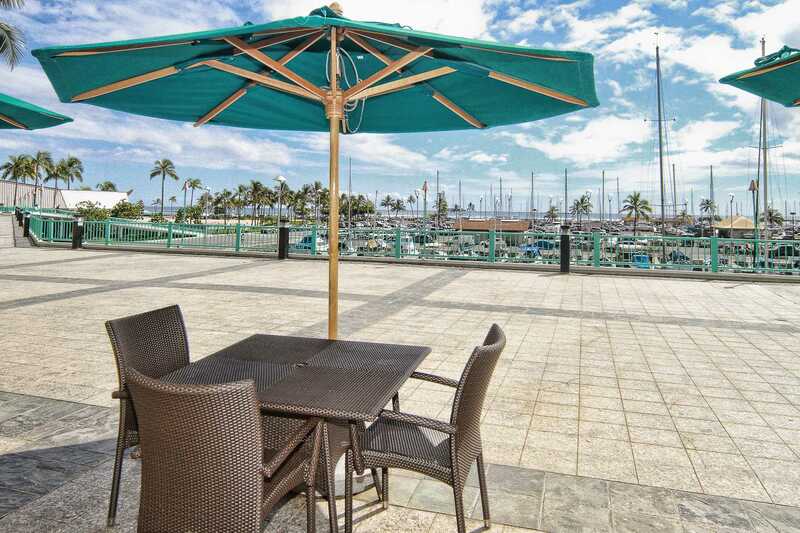 Such a beautifully furnished and spacious condo with a fantastic lanai and amazing view. The kitchen was beautiful too which was important as we are vegan and needed to prepare a lot of our own food. Everything seemed brand new also. We also saw a free Lual show from our balcony from the hotel next door. Only thing I suggest as I do to all the properties I stay at is a clothes drying horse to hang damp towels and bathers and even washing on out on the balcony instead of hanging over the back of chairs. In a such a warm place like Hawaii you really don't need to waste energy on using a clothes dryer. 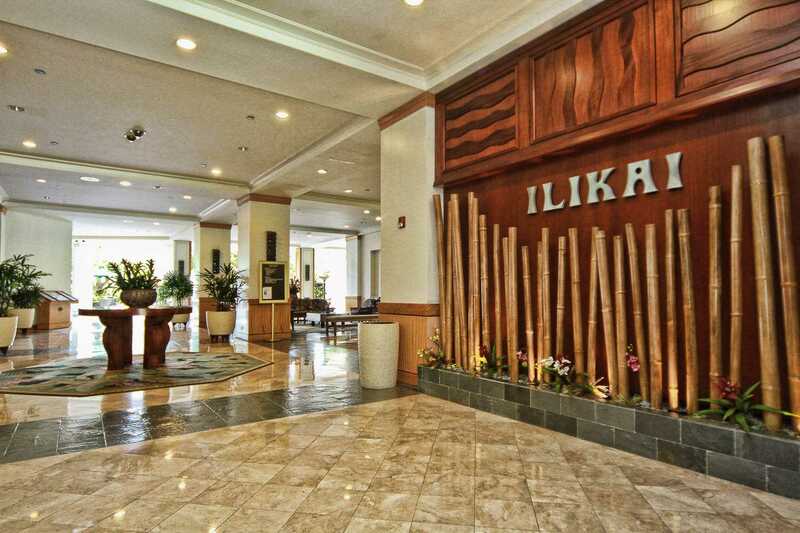 Hope to come back and stay at the wonderful Ilikai. We stayed in this location for 4 days. It was a very comfortable location. We were 4 adults and one toddler. Place provided all the beach gear and toys which was a life saver with the little one. 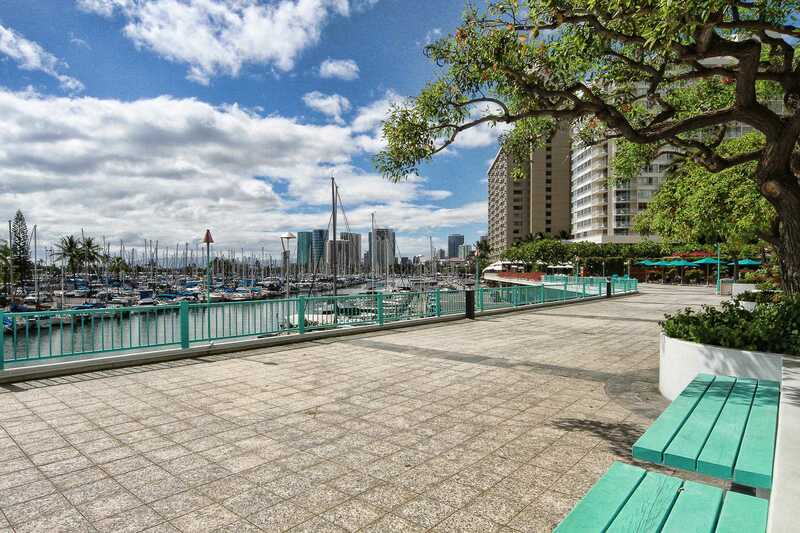 Great location next to lots of shops and restaurants. 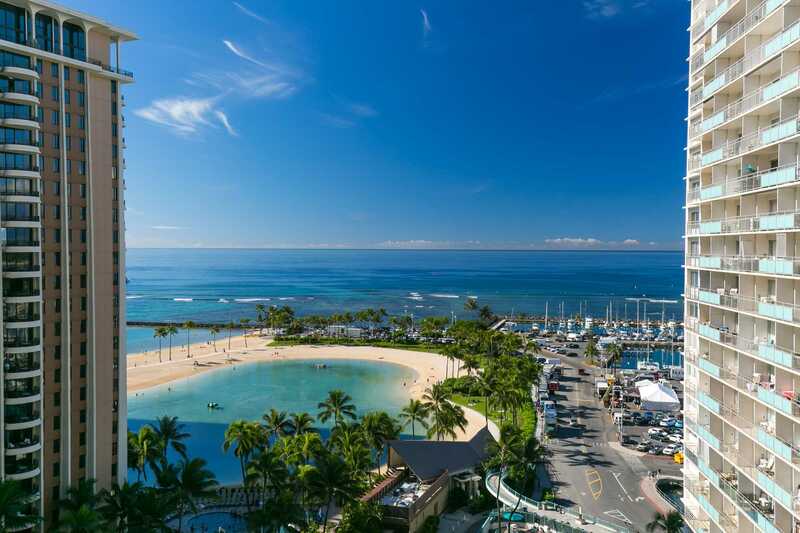 There is a nightly Luau show next door at the Hilton which we would sit in the Balcony and watch. The Hilton has a small alley with lots of shops and restaurants. 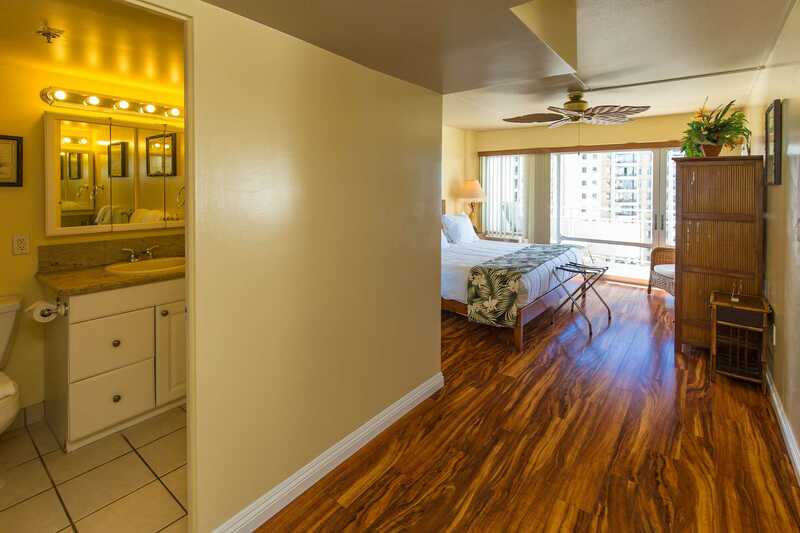 Downtown Waikiki is about a 15 minutes walk (little less than a while). Lots to see on the walk over. It was a nice added touch. There are fireworks on Friday nights which was also pretty cool. Our toddler was in heaven. The home does not come with any condiments or cooking oils/butters but there is a small convenience store in the location and across the street. We did not use the pool since the beach is essentially in the backyard of this location. Great place. Would stay again in the future. 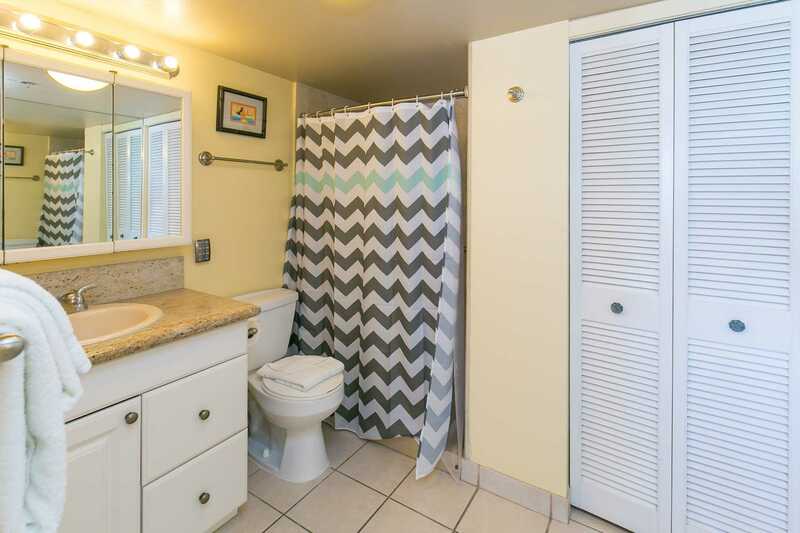 Great condo to stay in - my wife is very fussy about cleanliness and this apartment was spotless. 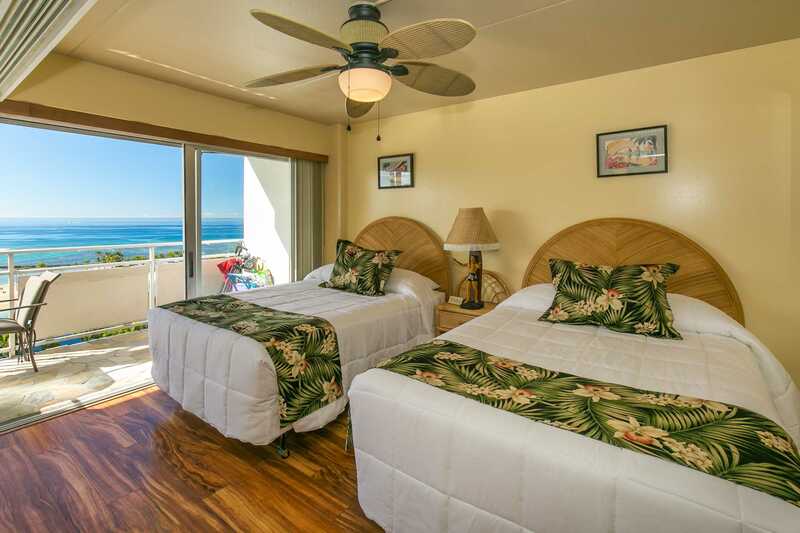 Plenty of room for 3 adults, a child plus an infant and amazing views. Central, my daughter loved swimming in the lagoon next door and great little coffee shop (Aroma) downstairs. Parking is expensive but easy. 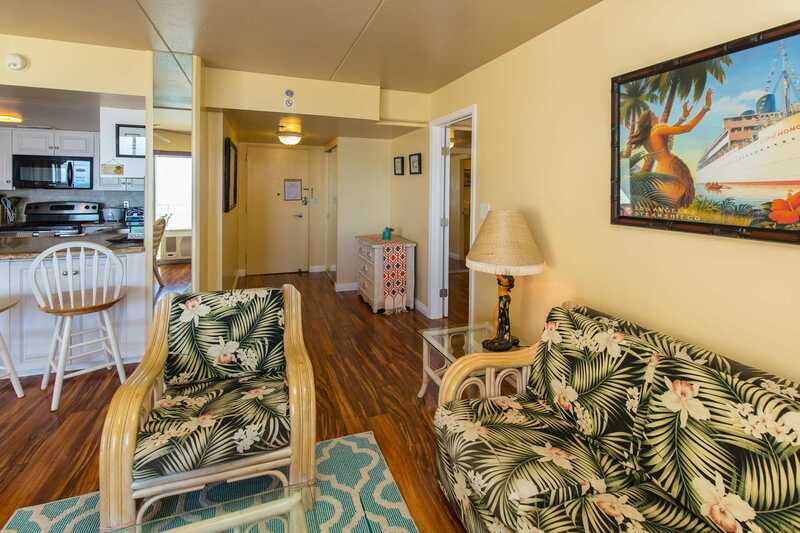 The self check-in is seamless and the condo was fantastic - would definitely stay again. 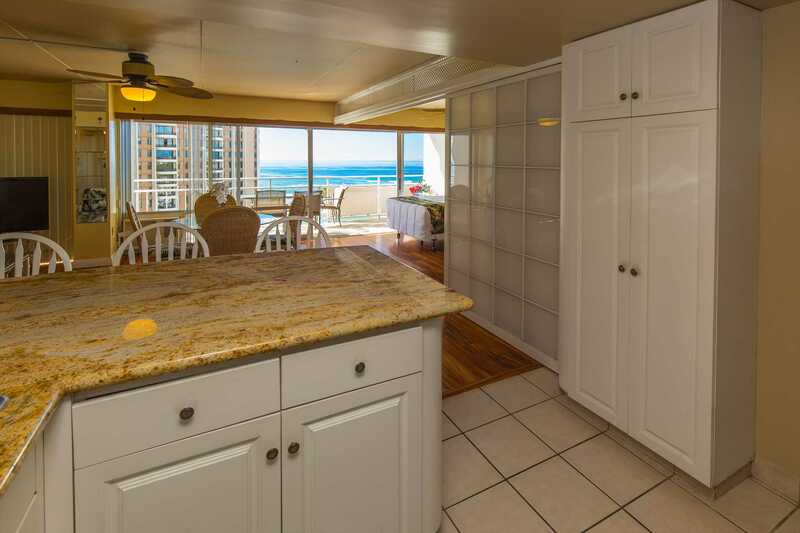 This condo was immaculate with gorgeous views! The entire set-up was extremely accommodating and we appreciated the extra beach toys/chairs that came along with the condo. We will definitely be back! The decor was tasteful and the beds were comfortable. 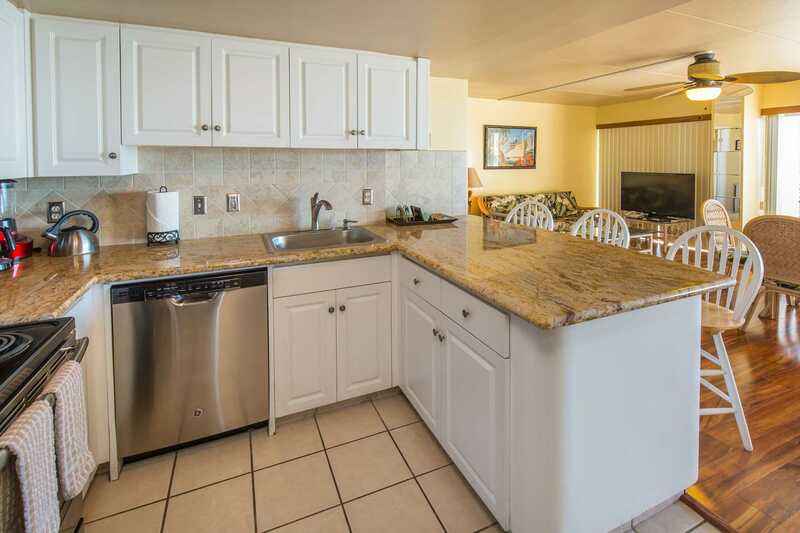 The fully equipped kitchen was convenient and had everything we could ever need for creating large meals. The best part of this condo is the view. It was stunning! 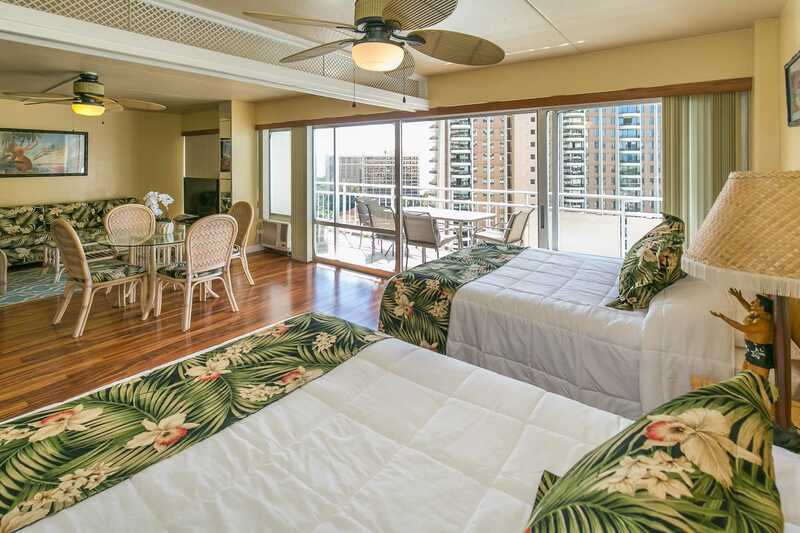 The unit was a great location on an upper floor in the Ilikai. 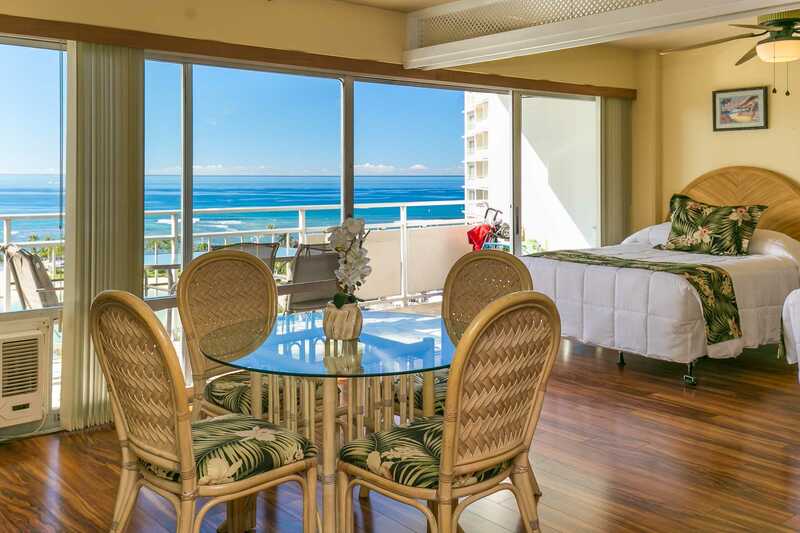 Each morning we had coffee on the lanai overlooking the lagoon and the ocean. 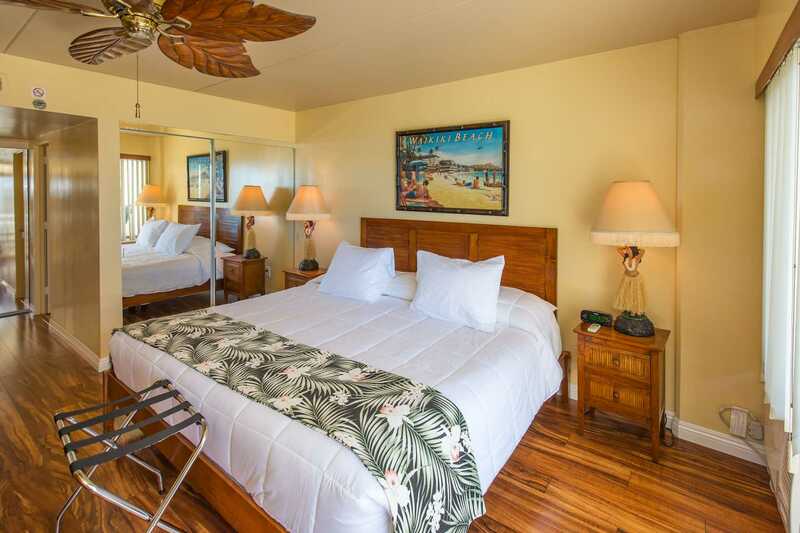 At one point we asked if there were any beach chairs available and the next day two were brough to our room to use for our trip to the North Shore. This was our 14th trip to Hawaii and we will stay here again when we next visit. We loved it!!!!!! Thank you!!!!!! Beautiful condo with lovely view! Everything was as described. 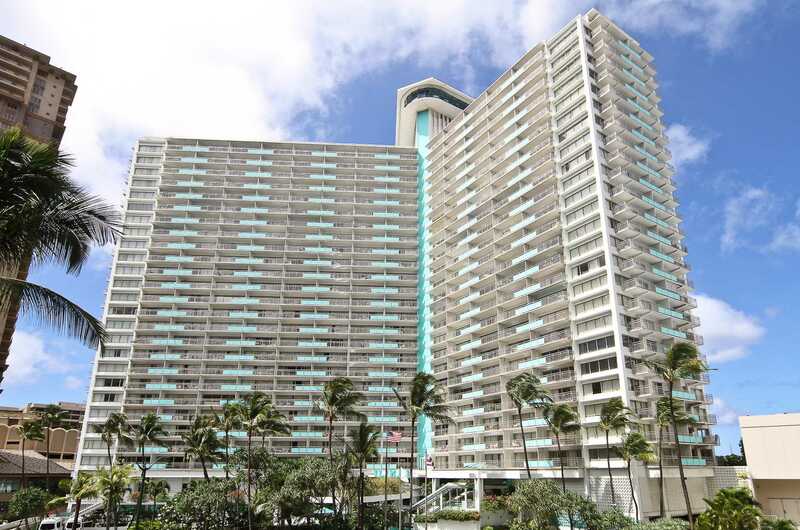 Condo was in a great location and met our family's needs. We would come back again. 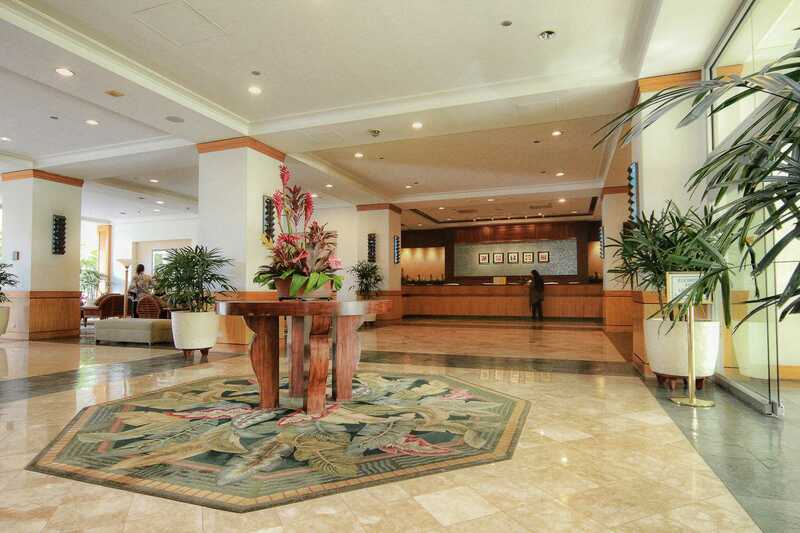 I was very happy when we arrived at the Ilikai Hotel & Suites. The communication were fantastic and we were able to check in with ease. The location was ideal, the views were fantastic. 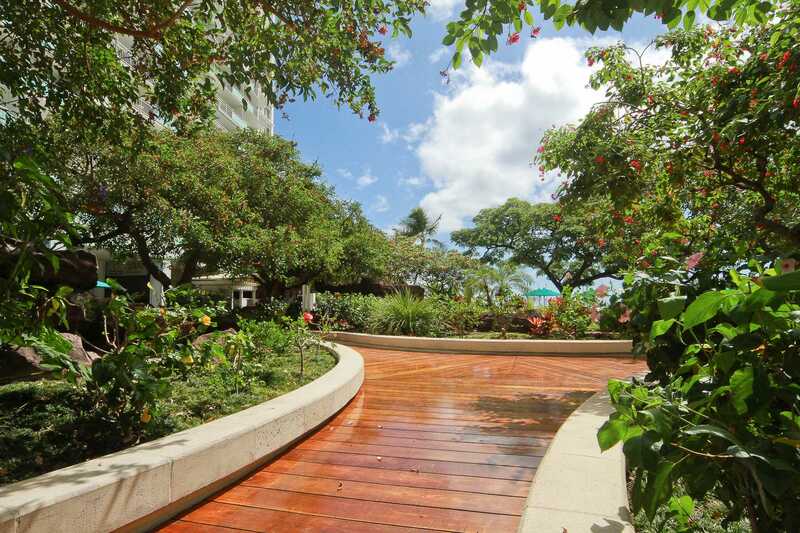 We had great access to the property pool as well as the lagoon and the beach. Really lovely staff to deal with too. The suite we stayed in was well furnished, tidy and clean and had everything we needed. I loved staying here and did not want to leave. I am looking forward to our next stay, which will definitely be at these apartments. Thanks to the owners for letting us stay in your apartment - WE LOVED IT!! !